Monk fruit is a type of gourd that grows in the sub-tropical areas and is only currently cultivated in the mountains of Southern China. Legend has it that Buddhist monks were the first to grow this melon, hence the name! Botanically, monk fruit is known as Siraitia grosvenorii. This fruit has been used in Traditional Chinese Medicine (TCM) for centuries to treat inflammation, coughs and sore throats and is known as luo han guo. Monk fruit has just very recently applied for the Generally Recognized as Safe (GRAS) status in the US—the FDA has no objections though it has not officially been granted GRAS status. Monk fruit extract has been permitted to be used in foods in the US since 2009. There have been no reports of negative effects. To date, the only non-nutritive sweeteners given GRAS status by the US FDA are saccharine, aspartame, sucralose, neotame, acesulfame-K, and stevia. Monk fruit extract is derived from the pulp of the fruit and is used to sweeten foods and beverages without the calories of sugar. In addition, the extract appears to lower both blood sugar and blood lipids in experimental models of animal diabetes. The active sweet substances appear to be the mogrosides which are about 2- 300 times the as sweet as table sugar. The mogrosides also function as antioxidants, potentially limiting the oxidative damage caused by high levels of blood glucose. Skinnygirl Monk Fruit Extract Liquid Sweetener. Is Monk Fruit Safe to Use? According to the Center for Science in the Public Interest (CSPI), monk fruit extract has not been extensively tested, though as mentioned above, the US FDA has not received any reports of adverse effects. 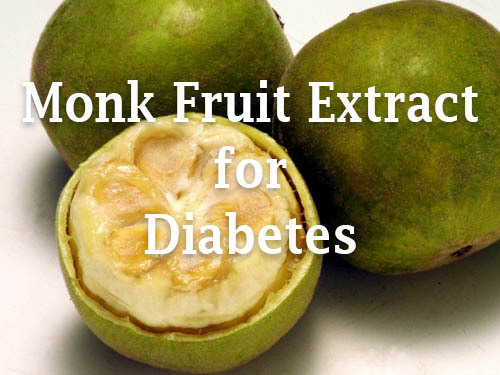 CSPI recommends caution in using monk fruit until more is known about its possible effects. Monk fruit extract appears to be in many ways similar to stevia, another plant-based non-nutritive and non-sugar sweetener and appears to function both as an antioxidant and an antidiabetic substance. It also appears to help lower blood lipids, but all the research so far has been done in animal diabetes models and there is not much of it. On the other hand, monk fruit has been used for centuries in China—and people do not tend to keep using a plant as food if it is very dangerous. According to the International Food Information Council Foundation (IFICF), monk fruit sweetener has no calories so they won’t cause weight gain and may help you lose weight. The IFICF considers monk fruit extract to be safe for adults, pregnant women and children. Monk fruit extract can be used in beverages, cooking and baking—but remember, since monk fruit extract is about 200 times sweeter than sugar, a little can go a very long way! Chen, Xu-bing, et al. “Potential AMPK activators of cucurbitane triterpenoids from Siraitia grosvenorii Swingle.” Bioorganic & medicinal chemistry 19.19 (2011): 5776-5781. Love this short & sweet article. Very helpful in my search for healthier sugar substitutes! Do any of The Diabetes Council Team members receive funding or do they have any connection with the food, beverage or sweetener manufacturing or distributing industries? No. At this stage we are not interested in any such partnerships! If you have to offer your services then take it to Diabetes.org at this stage we are not interested in selling anything of that nature.